pages last updated: several pages. Kittens of Shifra are born on Septhember 18th, and the kittens of Nemesis on Septhember 25th. The kittens of Lemon are expected around November the 20th. We are working on the update of our English website pages. Finished are: all first pages of the menu (the ones who are now visible in the menu), the pages of our femals, and the kitten pages. 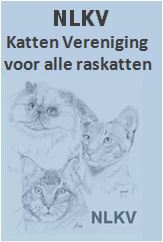 Welcome on the website off Cattery Berka. Cattery Berka represents our love for the Siberian cat. With this website I like to tell you something about us, our Siberian cats, our cattery and our kittens. If you have questions, please contact me. You will find all the information you need on the contact page (click on Contact). For more information on the Hypo allergenic fur of the Siberian cat, click here.